Study: Recall a sacrifice you have made recently. What was it about this sacrifice that revealed your values and priorities? Pray: Ask the Lord for the grace to serve with your whole heart. Pay attention to anything that is holding you back. Serve: Is there someone in your life who is struggling with priorities right now? How can you help them? What do you think is worth a personal sacrifice? What would you be willing to give up for someone or something you believe in? Can I give that up? We make sacrifices all the time. Some are simple, others complex; some are demanding while others are the act of a moment. Yet sacrifices reveal the depth of our hearts and our willingness to offer up our lives for something greater, something that we hold precious or valuable. The thought that Abraham would be willing to offer up his only son – the child of God’s blessing to Sarah in her old age – strikes the modern hearer as barbaric and horrible. It is a crime against nature: that the innocent could suffer such atrocity sounds more like something from Hell, not Heaven. 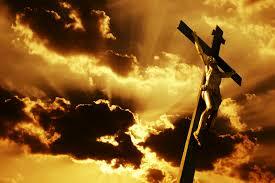 Yet Jesus Christ, innocent and without sin, will die a brutal death on the Cross…for us. The atrocity that confronts us at Calvary reveals the value God places on our human souls – we are loved completely, entirely, and without thinking of the cost the Lord sacrifices his life to take our place for the evil we have done. This is the power of the transfiguration in the Gospel of Mark. Jesus, revealed in all his glory with Moses and Elijah, is God’s “beloved Son.” Coming down from the mountain Peter, James, and John have no idea what lies ahead – they can only marvel at the awesome sight of Jesus as he stands in Heaven…the one who is honored for the sacrifice he makes. How does my use of TIME reveal my priorities? How does my use of MONEY reveal my values? How do I show the PEOPLE in my life that I love them? How do I live my faith in GOD each and every day? And if there are things that are keeping me from God & others…. Note: This post was first published on February 24, 2015. This entry was posted on Monday, February 19th, 2018 at 6:00 pm	and tagged with Catholic, Christian, grace, Inspiration, Jesus Christ, Mass, Mercy, Sacrifice, Suffering, Transfiguration and posted in Lent. You can follow any responses to this entry through the RSS 2.0 feed. Timely, as usual. God bless you, Fr. Andrew. Thank you, Fr. Ricci….good message. Bless you.